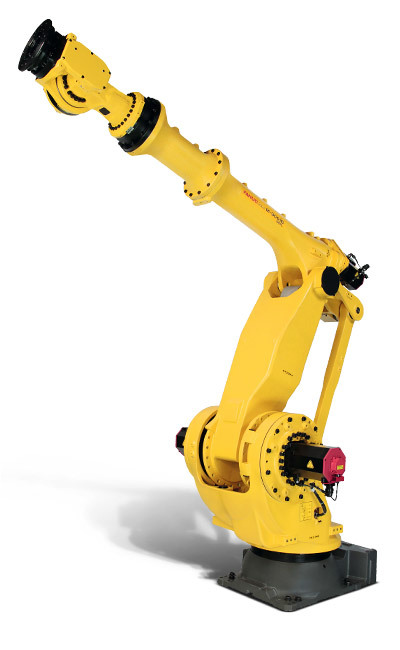 Despite its long arm, this model's inherent stiffness makes it ideal for operations that demand higher levels of rigidity from the robot. 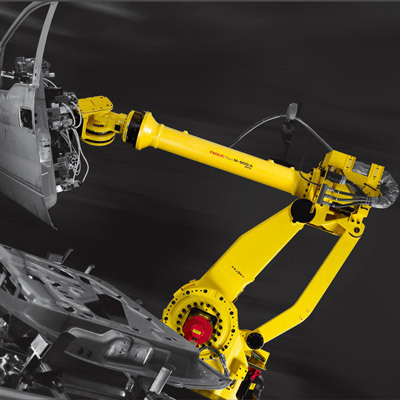 Already highly versatile thanks to its 6 axes, its supporting parallel link arm makes it even more suited to accurate handling of heavy workpieces, palletising in complete layers and heavy duty spot welding. 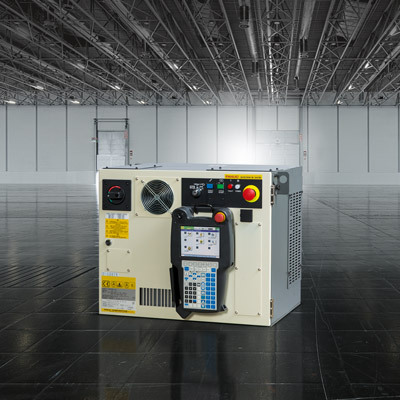 To make life easier in confined areas, this machine facilitates easy access for servicing. 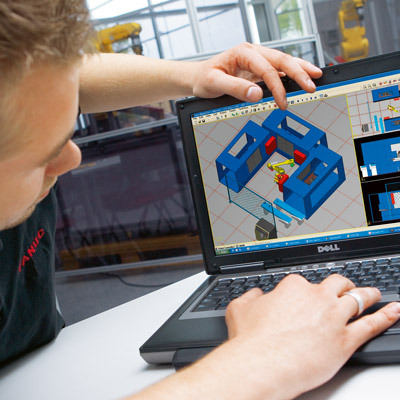 Your solution to tasks that demand a combination of ruggedness, extra reach and heavy lifting. 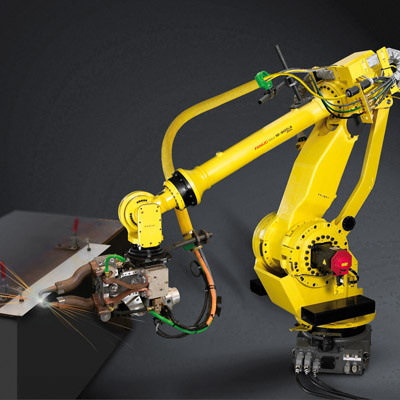 This model's robust construction and supporting parallel link arm is ideal for accurate handling of heavy workpieces, palletising in complete layers and heavy duty spot welding. Enhanced severe dust and liquid protection package available for use in harsh environments. Large and heavy parts handling within a huge a 3704 mm envelope using the M-900iB/400L model.